The defining feature of a sunroom is a large amount of glass. Floor-to-ceiling windows can create the illusion of being outdoors while still providing the comfort of a climate-controlled living space. These rooms can include skylights, or utilize standard construction techniques with a ceiling and roof that matches the rest of the house. One ideal spot for a sunroom is adjacent to the kitchen, since it can become a perfect place to share meals or enjoy your morning coffee. Another option is to add a sunroom as an extension of the family room or living room. Keep in mind what direction will offer the best views. Take advantage of a southern exposure to receive the most light each day. An eastern exposure will provide sun in the morning but then offer shade in the evening and a western facing room will offer the opposite – strong afternoon sun that may need additional shade to be practical. Consider the time of day you plan to use this room the most and talk with a qualified sunroom contractor, like Gerald Jones Company, about how to maximize those goals. Clinical studies have shown the importance of natural sunlight for both physical and emotional well being. During cold winter months, some people struggle with SAD (Seasonal Affective Disorder) which is a type of depression linked to reduced sunlight and seasonal changes. 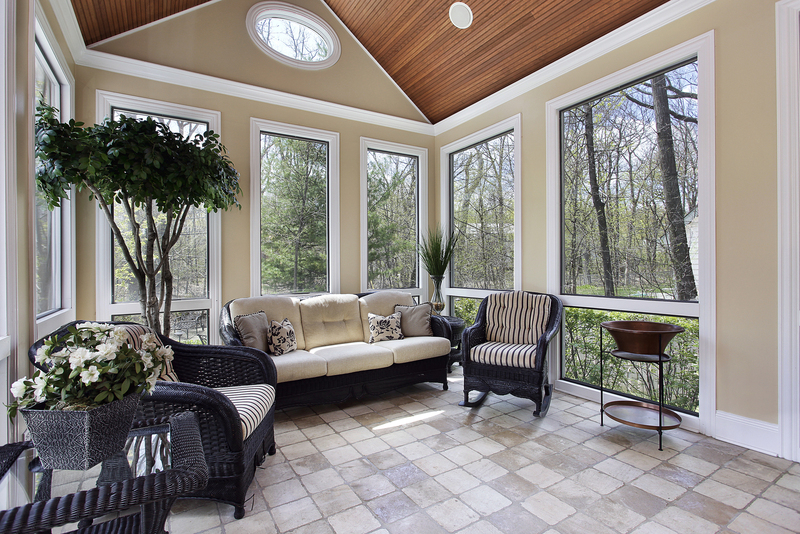 A sunroom can be an effective way to beat the winter blues, providing plenty of natural light in every season. Consider the materials you would like to make up the room, from vinyl, wood or aluminum supports, to various kinds of glass and window designs. Decide if you would like the windows to be able to open, or remain sleek and low-profile by opting for single panes. Better yet, consult Gerald Jones Company or your local experienced sunroom contractor for guidance. Be sure to discuss ventilation, heating and cooling options, and insulation. All are factors that a quality builder will address with you during the planning process. Give us a call today at 919-286-1700 to get a free estimate for your new sunroom, or any other home remodeling project. This entry was written by Gerald Jones Company, posted on August 27, 2015 at 3:42 pm, filed under Uncategorized and tagged Builder, home improvement, Raleigh-Durham NC, sunroom. Bookmark the permalink. Follow any comments here with the RSS feed for this post. Both comments and trackbacks are currently closed.